Behind the French Menu: Thon - Tuna, the Fish. Tuna in French Cuisine. Thon - Tuna, the Fish. Tuna in French Cuisine. French chefs have been preparing tuna for hundreds of years; though they were mostly a bycatch and were never a part of Haute Cuisine. Until the end of the 19th-century, tuna was only available along France’s Mediterranean and Atlantic coasts and in Paris, where they could be brought up the Seine River by boat. The end of commercial whaling coupled with the new popularity of tuna in Japanese cuisine in the 1950’s changed that. Then French fishing ports brought tuna for the French canning industry and exported whole fish to Japan. 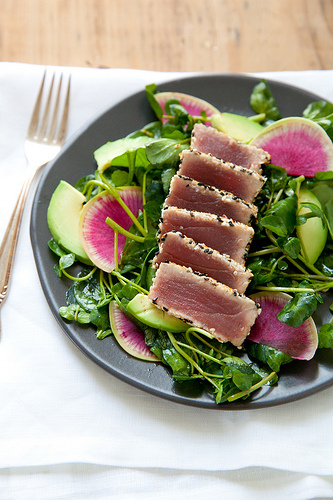 Tuna is a latecomer to French and Japanese cuisine. Other tuna family members are at end of this post. Some of these tuna are excellent and will be on the menus in France’s Caribbean and Indian Ocean departments, other are important for the canning industry. The French love Japanese cuisine and the Japanese love French cuisine. That created a kinship where great recipes can be exchanged and built upon. In consequence apart from the names used by France’s neighbors I have also included their Japanese names that I collected when traveling in Japan. The Japanese names aid in solving some confusion that can appear with French and English tuna names. (Catalan -tonyina ), (Dutch – tonijn), ( German –thune), (Italian – tonno), (Spanish - thon), (Japanese - magura). Germon – The Albacore tuna. 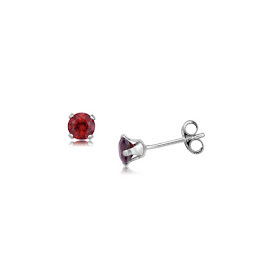 Thonine - The Little Tunny or Little Tuna. Thon Rouge - The Northern Bluefin Tuna. Thon Germon, Germon, Thon Blanc, Thon à Nageoires Jaune – Albacore Tuna, Albacore. 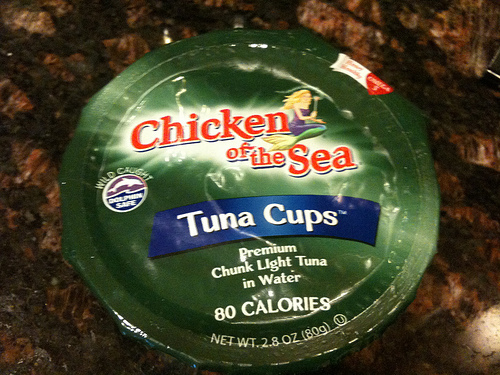 In the USA this is the only tuna permitted to be called white tuna and “Chicken of the Sea.” Fresh Albacore tuna turns nearly white when cooked and has a sweeter taste than most other tuna. In France Albacore may be offered as a steak grilled or fried or lightly braised with vegetables. The Albacore tuna is found in every ocean of the world and while they are considered a small tuna many reach over 10 kilos (22 lbs). 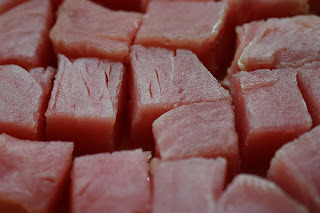 Cubed cuts of Albacore Tuna. Ratatouille Provençale et Son Mi-Cuit de Thon Germon – Provence’s famous Ratatouille served with an Albacore steak just singed on the outside. Steaks de Thon Germon à La Provençale – Albacore steaks prepared in the manner of Provence. Here the tuna will be flavored with thyme and rosemary and a touch of garlic and then served with lightly fried with tomatoes, and white wine. Chicken of the sea. Albacore Tuna. Tartare de Germon aux Piments d'Espelette – Fresh, marinated tuna prepared as a tartar and spiced with the famous red peppers of Espelette from France’s Basque country. Trio de Poisson, Germon Mi Cuit, Dorade et Espadon en Brochette -Three different fish served together on skewers. The Albacore tuna served very lightly grilled and along with gilthead seabream and swordfish, which will be well cooked. Niçoise aux Piquillos, Anchois, Thon Germon et Olives Lucque – Salad Nicoise served with Piquillos, Anchovies, Albacore Tuna and Lucque olives. Piquillos are marinated sweet red peppers with a Spanish and Spanish Basque history. This sweet pepper is cooked over charcoal and its skin removed by hand; it is preserved its own juices and bottled. The Lucque olives are a green member of the prized Nice olive family. 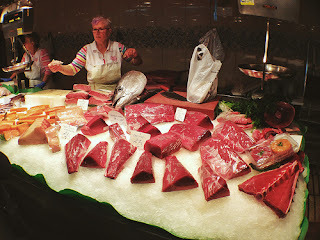 (Catalan – bacora), (Dutch - witte tonijn), (German – weisser thun), (Italy - tonnobianco), (Spanish - atún blanco), (Japanese –binchô, binnaga maguro and shiro maguro). N.B. 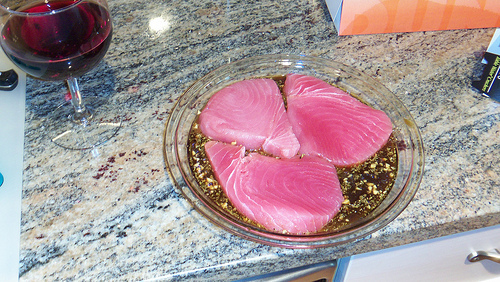 Albacore Tuna is not the first choice of Japanese chefs for sushi or sashimi, but they will use when it is available. The raw albacore tuna’s meat is a translucent pink. Thonine - Little Tunny, Little Tuna, Atlantic Little Tunny, Bonito. This tuna will be on many menus in France and are caught close to the Atlantic and Mediterranean coasts. They are a small tuna that rarely reach more than seven or eight kilos, (15 -18 lbs). Pavé de Thonine, Aubergines Rôties, Fromage Frais, Copeaux de Jambon Séché, Roquette et Sauce Vierge - A thick cut of Little Tunny served with roast aubergines, eggplants in the USA, fresh cheese, shavings of dried cured ham, rocket salad greens and Sauce Vierge. As its name suggests, Sauce Vierge includes virgin olive oil (vierge is virgin in French). With the oil will be fresh tomatoes, garlic, lemon juice, basil, red wine vinegar, salt and black pepper. Sauce Vierge will be served slightly warm, but not cooked; heat destroys the distinctive taste that is that particular delight of virgin olive oils. 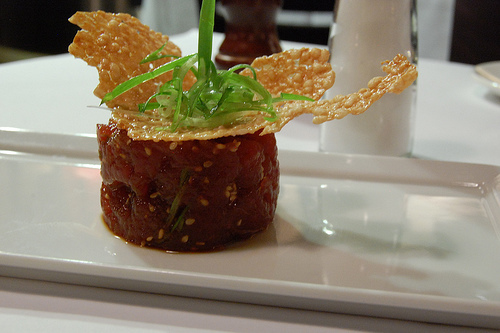 Tartare de Thonine- A tartar made with fresh Little Tunny Tuna. Steak Provencal Thonine - A Little Tunny steak prepared in the manner of Provence. Here the tuna steak will be cooked with tomatoes, bell peppers and a light addition of garlic and other herbs. Tournedos de Thon Thonine Servi Saignant, Sésame, Réduction Balsamique – A thick cut of tuna served with only the outer two millimeters of the fish cooked, the inside will be raw. 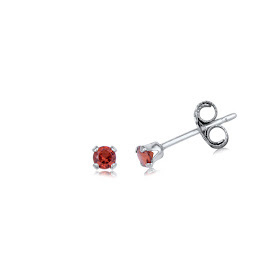 The two tastes and textures match each other perfectly. It was in France, where I first tried tuna prepared in this manner and this, without doubt, is one of the best ways to enjoy fresh tuna. Here the steak offered will have been rolled in sesame seeds before cooking and then served with a reduction, a thickened sauce of balsamic vinegar. 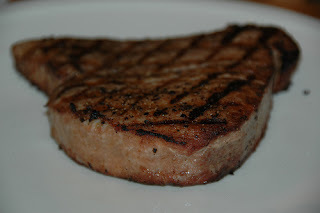 (The term “saignant,” is taken from the usage of for a very rare beef steak. See the post Ordering a Steak in France, Cooked the Way you Like it). Rolled in sesame seeds before cooking. (Catalan – Bacoreta), (Dutch - dwergtonijn), (Germany - falscher bonito, thonine), (Italian - alletterato), (Spanish – bacoreta), (Japanese - Taiwan yaito, taiseiyou-yaito). Thon Rouge - Northern Bluefin Tuna. Thon Rouge - Northern Bluefin Tuna. These are the largest and fattest tuna in the world. Raw, this tuna is red and nearly as firm as beef, cooked it is off-white. French fishermen and women catch these fish in the Atlantic and the Mediterranean. The largest of these tuna ever caught was a real monster weighing 684 kilos, (1507 lbs)! Unfortunately, extreme overfishing has already brought down their average weight when caught to just over 200 kgs (440lbs). Most of France’s catch of Bluefin Tuna will be frozen and sold to Japan as they pay the highest prices. 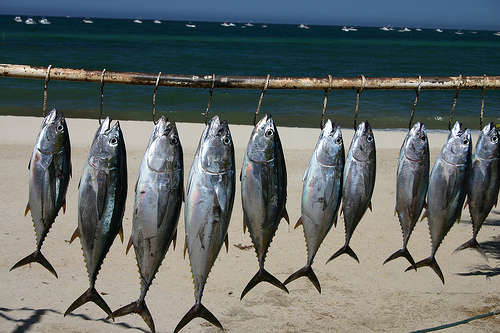 This is the tuna most valued by the Japanese for sushi and sashimi where it is called hon maguro. The most expensive cut is hon maguro otoro, that is fattest part of the fish from the belly. Smaller fish, caught when they weigh under 100 kilos that will be on the menu in France. Salade de Thon Rouge Marine - A salad with marinated bluefin tuna. Darne de Thon Rouge à la Provençale - A thick cut of a steak from the Northern Bluefin Tuna cooked in the Provencal manner. That will include red wine, tomatoes, a little garlic, vegetables and herbs. Pavé de Thon Rouge en Croûte de Sésame, Réduction de Balsamique à l'Érable. A thick cut of the Northern Bluefin Tuna cooked in a sesame covering and served with a sauce of thickened balsamic vinegar and maple syrup. Tuna on sale in a French market. Thon Rouge Mariné au Citron - Northern Bluefin tuna marinated in lemon juice. Thon Rouge Fumé, Mariné à l'Huile de Sésame Grillé - Smoked Bluefin Tuna marinated in roasted sesame oil. (Roasted sesame oil is used as a condiment for its taste, not as a cooking oil). Darne de Thon Rouge Grillée Minute et sa Sauce Hollandaise - A thick cut from the Northern Bluefin Tuna very lightly grilled and served with a Sauce Hollandaise. (Sauce Hollandaise is one of France’s mother sauces, that means it is behind the creation of other sauces and on its own is served with vegetables, fish and steaks). (Catalan – golfàs), (Dutch - tonijn), (German – Atlantischer thunfisch, roter thun, thunfisch), (Italian - tonno rosso ), (Spanish - atún, atún rojo, tonyina), (Japanese – kuro maguro). To taste really fresh tuna, straight from the sea less than 12 hours ago, go to the fishing towns and villages where tuna is the main catch. 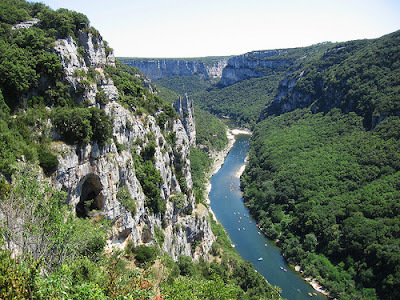 You will have many opportunities along France’s Atlantic coast and more along the Mediterranean coast. 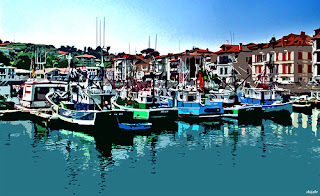 In the south-west of France, along its Atlantic coast, visit the lovely coastal fishing port of St-Jean-de-Luz, the most celebrated of all the tuna fishing ports. St-Jean-de-Luz has French, Basque and Spanish influences on its restaurant's menus and after lunch, you may relax on the magnificent beaches just one kilometer away. St-Jean-de-Luz is in the department of the Pyrénées-Atlantiques in the new super region of Nouvelle Aquitaine. It is just down the road, about ten km (6 miles) from the most important French Basque city and inland port of Bayonne. St-Jean-de-Luz is also only 19 km (12 miles) from the famous French Atlantic coast city of Biarritz. I was on my way to Bayonne from Bordeaux 205 km (128 miles) when I decided to spend the weekend in St-Jean-de-Luz. St-Jean-de-Luz is crazy about food and nearly every month apart from music, dance, and surfing or water skiing competitions. There are fetes celebrating one or another of the locally caught sea foods and fish. I spent nearly two days looking at and tasting some of the freshest sea fish, including tuna, and seafood. Oysters and mussels were always offered as an introduction to the other specialties on the menu. 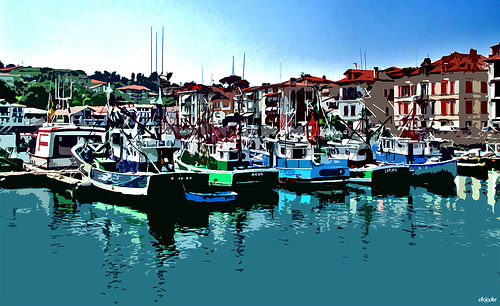 St-Jean-de-Luz was once a whaling port, but today is the leading tuna fishing port in France. On second Saturday in July is have their Fêtes du Thon, their tuna fete. On the days around the fete the all the restaurants around the old port and in town will be offering special tuna based menus. 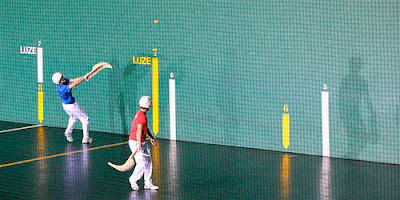 When you have had too much tuna, visit their Jaialai stadium for the incredibly fast ball Basque ball game of Cesta Punta. You can bet on the outcome of the game, and you may enter the stadium or leave whenever you wish. I spent two hours with a French acquaintance who explained the subtler points of the game while I managed to lose every bet I made. Luckily I was making the smallest bets I could and came out with my losses reaching 15 Euros. 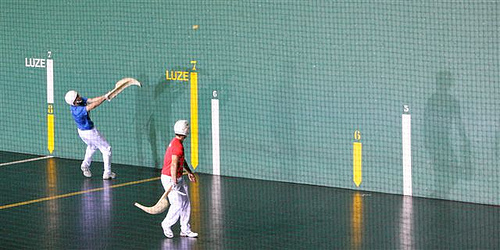 Cesta Punta, possibly the fastest ball game in the world. 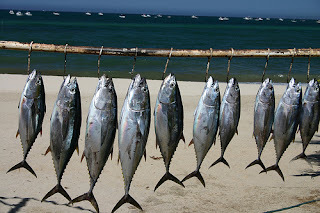 Bonitou, Bonite à Ventre Rayé, Bounicou - Skipjack, Skipjack tuna. Rarely on menus in France. When it is available, its texture makes it a candidate for a Carpaccio or other dishes where it can be served raw or cured and very thinly sliced; if it is cooked that will only be for only a second or two. Skipjack is important for canneries though some will be sold dried, salted or smoked. In Japanese restaurants, Skipjack is welcomed. Both for sushi and for making dashi the essential Japanese fish stock. Skipjack tuna ready for a barbecue. 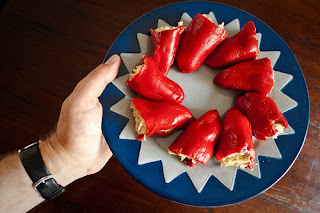 (Dutch -gestreepte tonijn), (German – bonito, bauchstreifiger bonito), (Italian - tonnetto striato), (Spain – atún de altura), (Japanese – katsuo). Melva Bonitou - Bullet Tuna, Frigate Tuna or Frigate Mackerel. One of this tuna's English names points to all tunas’ family relationship with mackerel. 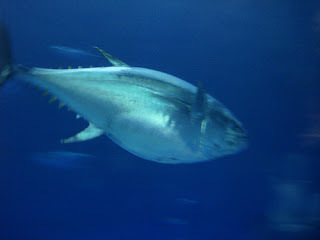 In France, the bullet tuna’s French name is often confused with that of the other bonitou, the Skipjack or Artic bonito. Bullet Tuna is one of the smallest and most are caught under 1 kilo (2.2 lbs), When caught in the Mediterranean most will be headed for canning plants. (Catalan - mèlvera, la melva ), (German – fregattmakrele), (Italian – tombarello), (Spanish – melva, melvera), (Japanese – kubarai). Thon Blanc Faux --Thresher, Fox Shark, Sea Fox. Thon Blanc Faux, Renard, Requin-Renard – Thresher, Fox Shark, Sea Fox. Despite one of its French names, this is a shark, not a tuna. Nevertheless, when it is caught it will not be sold cheaply as it makes good steaks and may be on your menu as a daily special. Thon Blanc, Requin-Renard Commun – Thresher, Fox Shark: (Catalan - guilla), (Dutch - voshaai), (German – drescher, fuchshai), (Italian - pesce volpe), (Spanish – guiílla, zortro, chichi espada). Albacore Thon à Nageoires Jaunes, Z'ailes Jaunes (in Martinique), Grand Foue and Thon Jaunet (in Reunion) – The Yellow Fin Tuna, Ahi (in Hawaii) - This tuna is found in most of the world's oceans, but not usually in the Mediterranean. With its French name being Albacore it is often confused with the real Albacore, which in French is correctly called the Thon Germon. A yellowfin, Ahi, Tuna steak. Yellowfin tuna is a big fish that can grow to over 2 meters (6.5’) and weigh over 100 kilos, (220 lbs). Most of the commercial yellowfin tuna catch is canned, but fresh fish will reach French-Japanese restaurants for sushi and sashimi where it will be called Hamachi. Another Japanese cut is Saku du Thon; this is a particular cut of yellowfin tuna I saw on the menu in a French-Japanese menu. In that restaurant, I was told that Saku Tuna, is the best cut of the Yellow Fin Tuna. Nevertheless, I was advised that this name is also used for a cut from the Albacore tuna; just another case of name confusion. Raw Yellow Fin Tuna has the darkest skin and a tougher texture than other tuna; consequently, it is mostly seen in cans on the supermarket shelves. 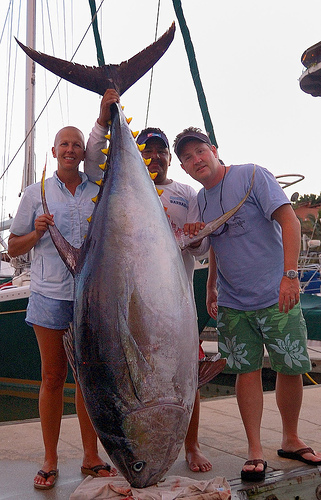 Amateurs also catch Yellowfin Tuna. (Catalan - onyina d'aleta groga), (Dutch - geelvintonijn), (German – gelbflossenthun, gelbflossen-thunfisch), (Italian – tonno albacore), (Spanish – atún aleta amarilla), (Japanese – kihada). Thon à Nageoires Noires, Bonite Noire, Thon Noir - Blackfin Tuna. Another small tuna with most weighing under ten kgs (22lbs) and rarely seen on menus in mainland France. (Catalan - llenguado d'aleta negra ),(Dutch -zwartvintonijn ), (German - schwarzflossen-thun, petit thon), (Spanish - atún des aletas negras), (Japanese - mini maguro). Thon Aux Grands Yeux, Thon Obèse, Patudo - Bigeye tuna or Bigeye tunny. These are big fish that can reach over 100 kilos and are not seen on mainland French menus. Bigeye tuna is much loved in Japan for sushi as it is a fatty fish. (Catalan - tonyina d'ulls grossos), (Dutch - grootoogtonijn ), (German – grossaugenthun, grossaugen-Thunfisch), (Italian - tonno obeso), (Spanish – patudo), (Japanese - mebachi). Bonite d'Inde, Thonine Orientale, and Bonite la Côte (in Reunion) - Kawakawa, Black Skipjack, Eastern Little Tuna, Mackerel Tuna. This is a small tuna that rarely reaches ten kilos. This tuna will not be on the menus in mainland France, but will undoubtedly be on the menu in France's Indian Ocean departments; you will be paying your bill in Euros there too. N.B. All France’s overseas departments are as much part of France as Paris. (Dutch - dwergtonijn ), (German – falscher bonito, gefleckter thunfisch), (Hawaiian - kawa kawa kina'u,), Italian – tonnetto orientale), (Spanish –bacareto, bacoreta oriental), (Japanese - hiragatsuo and obosogatsuo). Thon Rouge du Sud – The Southern Bluefin Tuna. The Southern Bluefin may be prepared in a manner similar to its larger Northern cousin and will be on the menu in France's overseas departments. This tuna reaches over 200 kilos and is the favorite of all sushi masters, but it is also in danger from overfishing. The Southern Bluefin Tuna can reach up to 2 meters (6.5'), and most weigh over 150 kilos (330 lbs) when caught. (Catalan - tonyina del sud ), (Dutch - zuidelijke blauwvintonijn), (German - Südlicher Blauflossen-thunfisch), (Italian - tonno del Sud), (Spanish - atún del Sur), (Japanese - bachi maguro, Indo (Goshu) maguro and minami maguro). Sériole Chicard, Amoureuse Grosse (in Reunion) - Yellowtail, Yellowtail amberjack – The amberjack, This fish is not a tuna though it is often confused with tuna. 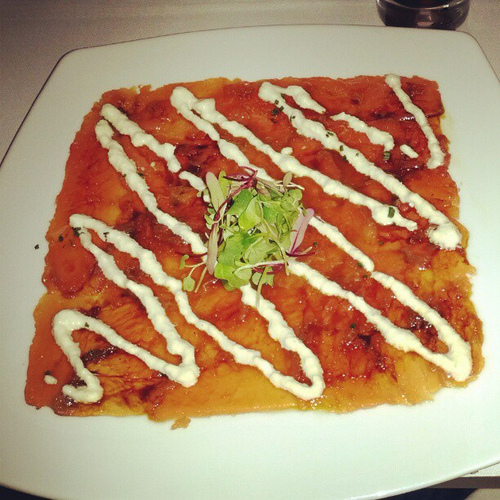 Nevertheless, it is a great tasting fish and so will be on the best sushi and sashimi menus. There are a number of fish called yellowtail, but none are tuna. The yellowtail on your menu as sushi is probably the yellowtail amberjack. 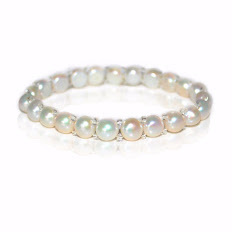 In Japan when Hamachi is on the menu that fish a farmed fish called the Japanese Amberjack. My thanks for help with the names of the tuna family members in other languages go to Froese, R. and D. Pauly. Editors. 2016. FishBase. World Wide Web electronic publication. www.fishbase.org, version (01/2016). Any mistakes are mine alone. Anchovies on the Menu in France. Visiting the Fishing Village of Collioure. Enjoying Anchoyade and Tapenade, France’s Great Anchovy Spreads. Citron – The lemon; the fruit behind many of France’s culinary successes. Also the Citron Vert - Lime, the Cedrat – the Citron, the Combava – the kaffir lime and the Chadec - the Pomelo. Copeaux on a French Menu? Copeaux means shavings or slivers. 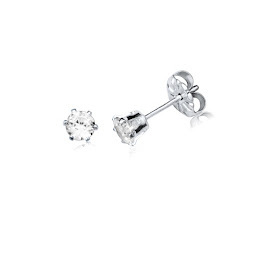 Déglacé, Déglacer, Déglacez – Deglazing. Réduction – Reduction. Deglazing and Reduction in French Cuisine. Dorade, Daurade or Dorade Royale on French Menus. The Fish Gilthead or Gilthead Sea Bream. Espadon; Swordfish on Your Menu. Garlic – Ail. Garlic in French Cuisine. Herbs and Spices in the French Kitchen. 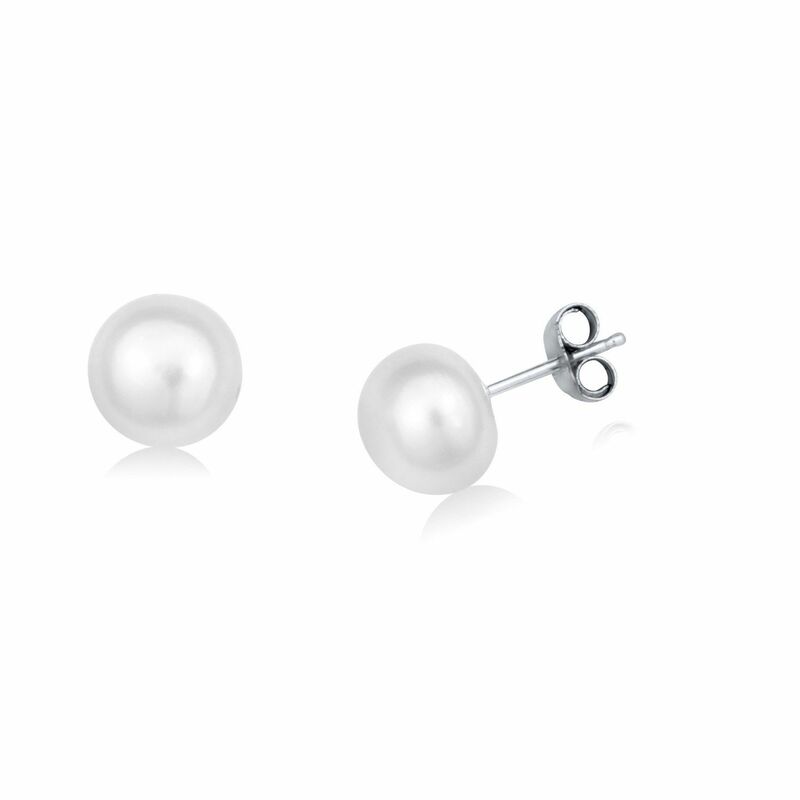 Huitres. Oysters in France 1. 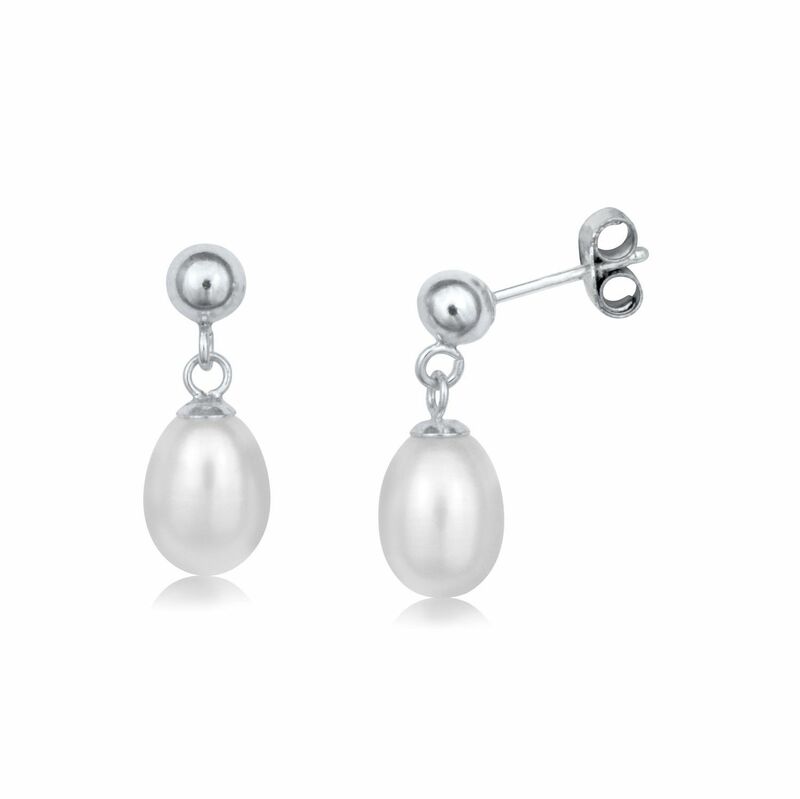 Ordering, Eating, and Enjoying Oysters. Huitres on French Menus. Moules - Mussels. Moules Frites and Much More. Mussels on French Menus. Piment d’Espelette - The Pepper from Espelette in the Basque Country. Pimenete d'Esplette is Most Popular Chili Pepper in France. Poivre - Peppercorns. Peppercorns in French cuisine and on French Menus. For hundred of years, pepper was the most important spice in the world. Ratatouille, the essence of Provencal cuisine and Ratatouille’s Ancestor, the Bohémienne de Légumes. Tartare, Tartar, on French Menus: Steak Tartar, Fish Tartar and Vegetable Tartar. Tartare on Your French Menu? Thyme in France. Thyme, Serpolet, Farigoule and Thym Citron, Lemon Thyme in France. Thyme. One of the most important herbs in French cuisine.